The season of shopping, parties and social gatherings is here! The season of Weddings is here! That season of the year when shopping of clothes and jewellery is at its peak. Every woman wants to look her best, now whether it is her own wedding or her relative’s. She doesn’t even mind on splurging some extra bucks on buying something she likes, during this season. For the women with the search for something extra special to adorn herself, to bring that special charm to her attire, Kalajee jewellery jaipur has designed an exquisite pair of dangler earrings. With a beautiful blend of pearls and uncut diamonds these earrings are royal, glamorous, scintillating and sure to embellish any ensemble . Elegant and enigmatic! This fascinating pair of dangling earrings by Kalajee Jewellery Jaipur is just perfect to steal all the attention in coming wedding season! 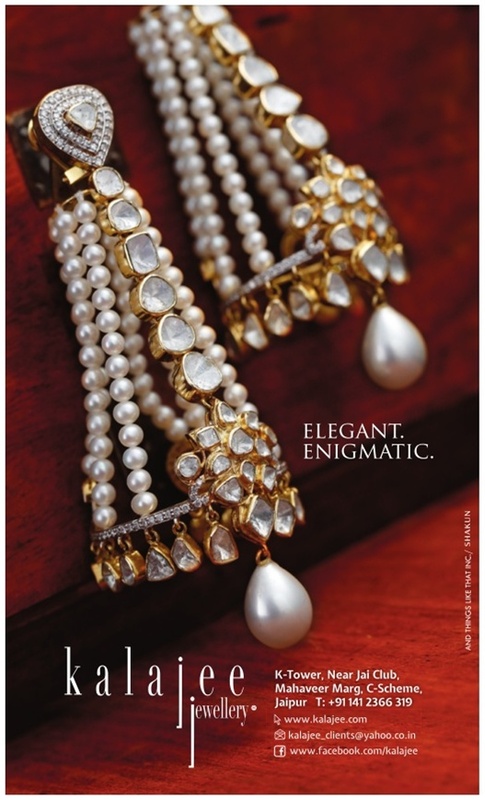 Visit the Kalajee Jewellery Store and check out these intricate earrings and other stunning jewellery .